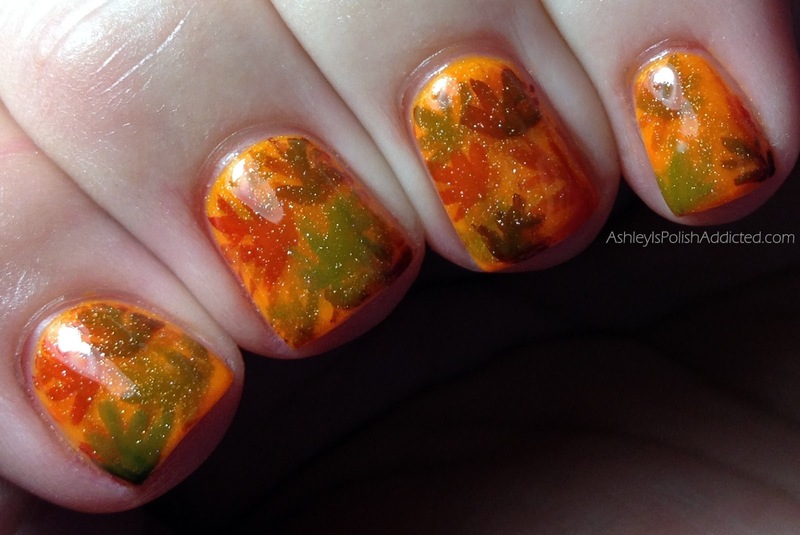 I am joining in on Autumn Theme Week with some other amazing bloggers and for Day 1 I have an Autumn Pond Manicure! 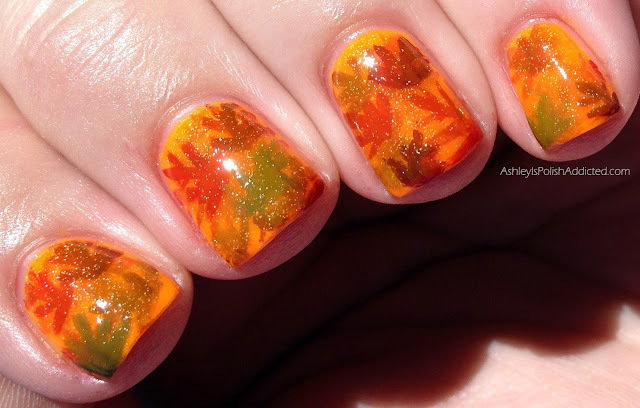 I have done "Pond Manicures" before, except with stamps (calling them "Stampwiches"). This was my first time attempting one freehand and I am very happy with how it turned out! I don't get a lot of time to practice freehand nail art but I'm really starting to enjoy trying to enjoy it more so I might have to start trying to squeeze it in more often! If you are unsure of how to do a Pond Manicure you can follow this tutorial my friend Jacki did over at Adventures in Acetone! You basically alternate layering a jelly polish with nail art of your choice. I used The Nail Junkie Orange as my base and the leaves were done with SinfulSHINE Mirror, Mirror and Devious, Cult Nails Ay Poppy and Elevation Polish Xixabangma. 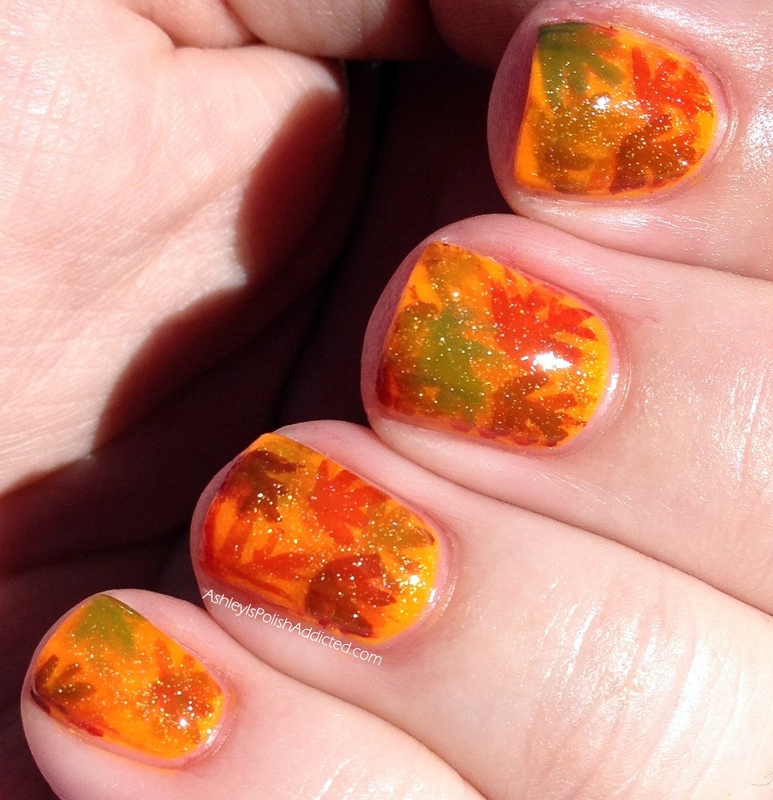 Have you tried a Pond Manicure? I used to hate jelly polishes but I am loving them lately, especially for using them in this way. I am excited for the rest of Autumn Week! 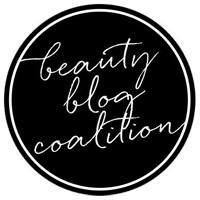 Make sure to check out the other bloggers' posts below! 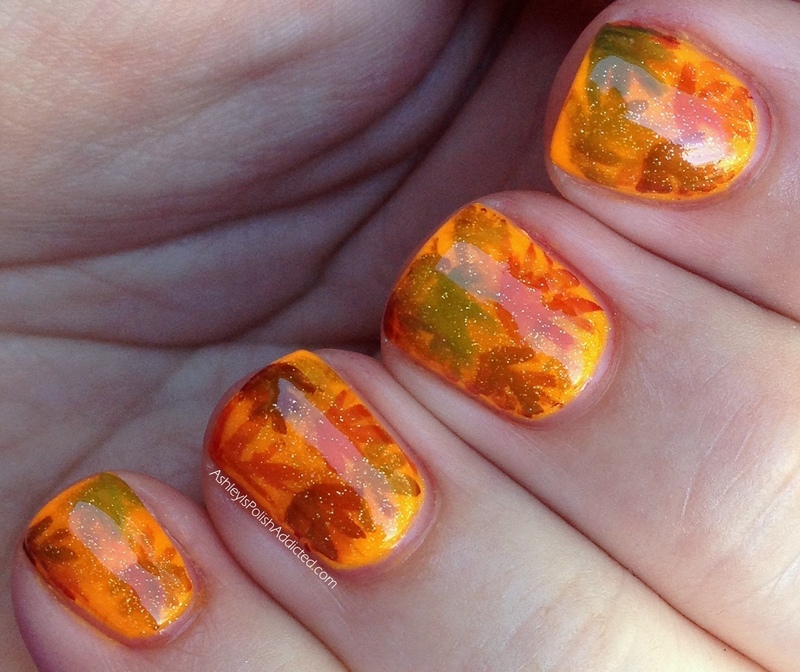 That is a really cool mani. I love the depth of it! 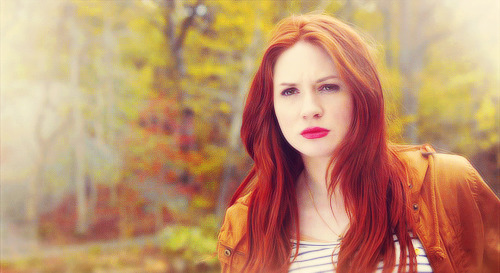 totally gorgeous, and I AM Amelia Pond (she stole my fake name) AND I love her hair! You got the coloring for Amelia Pond's picture dead ON! I love the colors you used on this mani..LOVE the autumn leaves! I love these so much. Such beautiful colours.